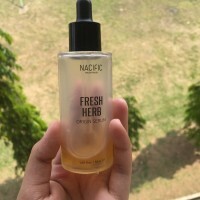 This is my first oil type serum. 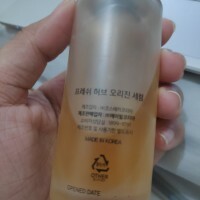 It does help my skin to brighten after several days of using it. My dull skin starts to have a better texture specially during the morning and I am using it as art of my night time routine. 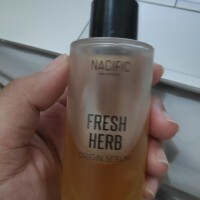 I shake it first before using it so that serum will be well mixed before application. it's a #yay for me. As you know, this serum intended for all skin types, particularly those with dry skin, or skin that has been weakened by oxidative stress or pollutants. What I love about this serum is it made from all natural herbs, no harsh chemical in this product. This serum doesn’t include “Fragrance” in its listed ingredients, meaning it comes from the ingredients themselves. Nice! I've been using it for 6 months now and I fall in love with it. It's oil based, but it doesn't make my skin sticky at all. I personally love how it makes my skin look and feel. It left my skin feeling plumper and more radiant!